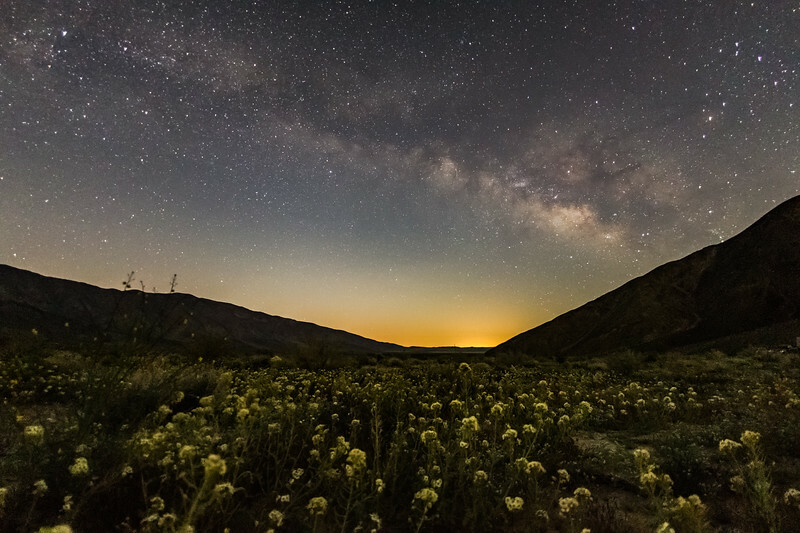 The Milky Way rises above a field of (what I believe to be) desert sunflowers along Rockhouse Truck Trail in Anza-Borrego Desert State Park. This is a single exposure that I shot just after the moon set below the mountains, yet there was still some residual moonlight that illuminated the landscape here. The orange glow in the distance is light pollution. Shot with a Canon 6D and Sigma 15mm at 13 sec f/2.8 ISO 5000.